We knew Kayla White was fast coming into the indoor track season, but the A&T star showed us she has world-class speed. 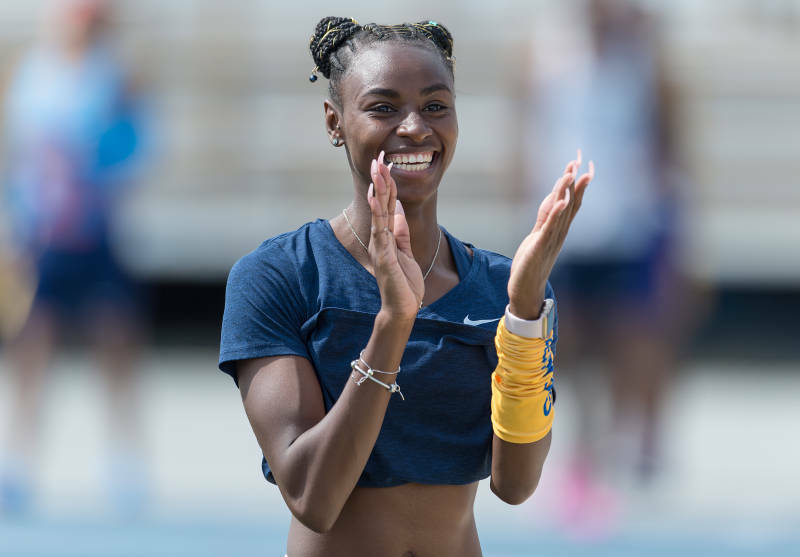 White ran a 22.82 at the University of Arkansas’ Tyson Invitational, which gave her the fastest time in the world in 2019. The 5’7 senior from Miami, Florida dominated the MEAC Track and Field Championships last year, winning outdoor titles in the 100m, 200m, 100mh and 4×100. She beat out sprinters from LSU, Arkansas and Alabama on Saturday. Congratulations young lady !! More accolades to follow 👀👀 AGGIE PRIDE A HBCU STRONG from a WSSU RAMILY!! Good work! Will be looking for you in the Olympics . As a former AGGSIE tracster and Hall Of Famer, I’m so ecstatic for Kayla, Coach Ross, and the entire AGGIE Track program ✊🏿! Aggies doing what Aggies Do!